Although congestion pricing is often a contentious issue, its ability to decrease congestion and air pollution while increasing revenue for sustainable transport projects makes it a policy many cities find worth pursuing. Photo by Zhou Ding/Flickr. Few urban policies have been as contentious or as fruitful as congestion pricing. Congestion pricing is a travel demand management policy that charges a fee for vehicles that enter a certain urban area or a certain street during specific periods of time. It aims to relieve traffic congestion, reduce air pollution and generate revenue for urban transport improvement. Singapore was the first city to introduce congestion pricing in 1975, but it was not until London implemented the policy in 2005 that it began to receive global attention. In recent months, discussions around introducing the measure have also reemerged in New York City, Beijing, and Bogotá. A range of evidence shows that when cities adopt congestion pricing, they decrease air pollution and travel times, all while increasing revenue. Despite these benefits, few local governments have adopted this policy due. Community aversion and public wariness, the financial investment required, and concerns about the necessary capacity for monitoring and evaluation have all hindered the adoption of congestion pricing in cities that have explored it. To help push forward this controversial yet beneficial policy, below are several ways that city leaders can advance congestion pricing in a way that community members can understand and appreciate. Getting congestion pricing policy passed in a city requires extensive communication and outreach to ensure public support. Congestion pricing policies affect the daily lives of almost all citizens, even those without cars. Congestion pricing often faces great public opposition because citizens do not fully realize its benefits, and view it as a new tax. To highlight the benefits of congestion pricing, cities must often launch extensive public campaigns. Recently, some cities have rephrased the term “congestion pricing” to other more positive terms, like New York City, which calls their initiative the “Fair Tolling Plan” and makes it clear that its goal is to produce greater social equity. In Beijing, congestion pricing is framed as part of the city’s boarder low-emission zone policy. The city emphasizes the policy’s impact in reducing air pollution, a major concern for Beijing’s residents. In Stockholm, the government got creative, and launched congestion pricing as a trial so residents could understand the policy before it became permanent. Although test runs are associated with high financial risks (if congestion pricing does not pass, the investment would be wasted) such testing periods did help gain public support, and more people became supportive of congestion pricing after the trial. But communication cannot stop after a project is implemented. Cities need to dedicate resources to monitor and report on the impact of congestion pricing. Transport for London, for example, releases the performance, operation and finance of congestion charging regularly. Data transparency can help justify the need for congestion pricing in the first place and generate long-lasting public support to continue the policy once implemented. Another component of successful congestion pricing schemes is that they garner revenue for financing sustainable transport projects. While this is the case in Stockholm, this mechanism does not exist in all cities. For instance, China does not set aside tax revenue specifically for urban transport. For this reason, when designing congestion pricing policies, city governments should also establish this new financial model, which will require collaboration between the transport and finance wings of government. This also often demands attaining mayoral support, such as in the case in New York City in 2007. When city leaders proposed congestion pricing in PlaNYC, they also suggested setting up a regional transportation funding authority (SMART) to manage the revenues from the policy. In this case, leadership from the top helped fuel public support and bring together previously fragmented government bodies to begin developing a comprehensive plan to implement congestion pricing. Cities also need to account for the high initial capital investment of installing the necessary technologies – like electric toll collection technology – that come with implementing congestion pricing. Such technologies can cost as much as hundreds of millions of dollars (in Stockholm, it cost US$ 100 million, while in New York City US$ 354 million). Local governments need to justify the policy to funding providers through cost benefit analysis and look secure funding from national and state level bodies, as well. This is not an easy task, but better done before beginning to implement the project than midway through. Effective congestion pricing policy requires strong governance, effective public outreach and communication, smart of use of the new revenue, and rigorous monitoring and reporting. Developing such a policy and getting it passed itself is a telling test of the government’s effectiveness, reliability, transparency, and accountability. While we at TheCityFix are excited about the number of cities in emerging economies that have implemented simple and straightforward vehicle quotas or travel restrictions, we also need to be aware of how few of them have adopted sophisticated economic instruments like congestion pricing. 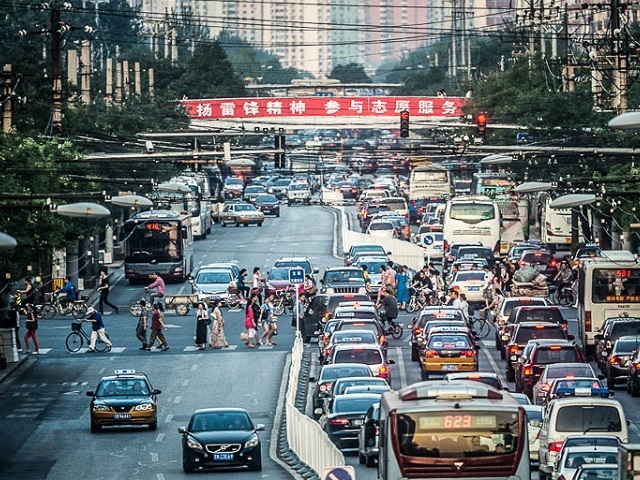 With additional guidance and resources, cities like Beijing and Bogotá, which have longed explored the measure, can finally turn discussion into reality and use congestion pricing to improve quality of life for urban residents.